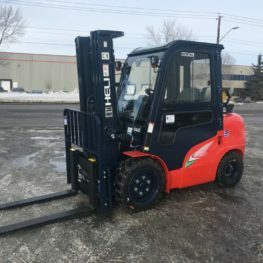 Electric three wheel solid pneumatics, 36 volt,2 speed automatic transmission, 171″ 3 stage mast, 79″ lowered mast height, unit width 38″, Unit wight 5,771 lbs. side shift and work lights. 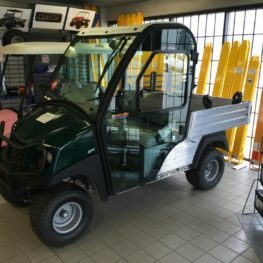 This a new electric sit down three wheel unit with a new bulldog elite battery, solid pneumatic tires. 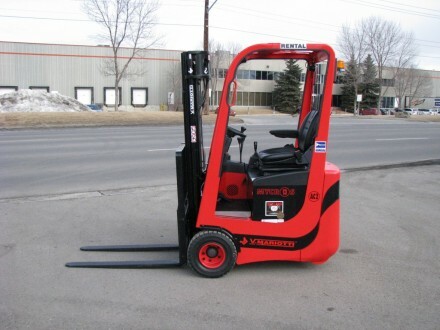 This unit is built to operate in small spaces and can fit through most single office doors. 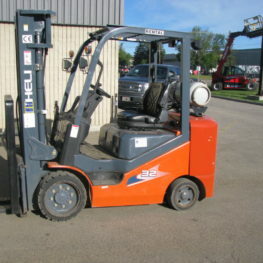 This unit is available for immediate sale or rental. Please call today for further details. GET STARTED NOWAND IMPROVE YOUR CAR RENTAL EXPERIENCE!